Lasernut | The premier laser cutting specialists in the Southwest! Take a look behind the scenes of Lasernut, and their Southern California laser cutting & manufacturing facility! The premier laser cutting specialists in the Southwest! 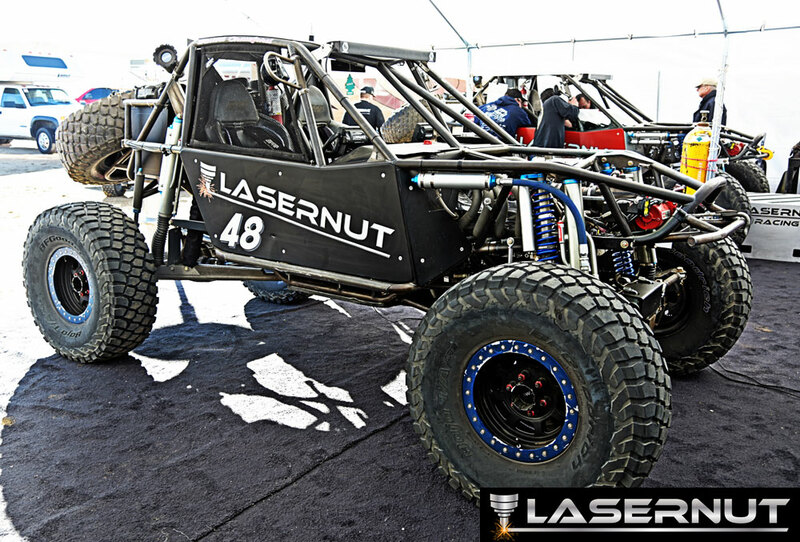 Lasernut has been a leader in California for top off-road manufactures. We can help with over productions runs with our facility that runs 24/7. Lasernut’s design team can take your vision and turn it into a reality. Lasernut is located in the heart of Southern California. We have been family owned and operated since the beginning in 1984. Lasernut is a division of IPE – (Industrial Process Equipment) which specializes in the manufacturing of powder coating equipment for a worldwide clientele. 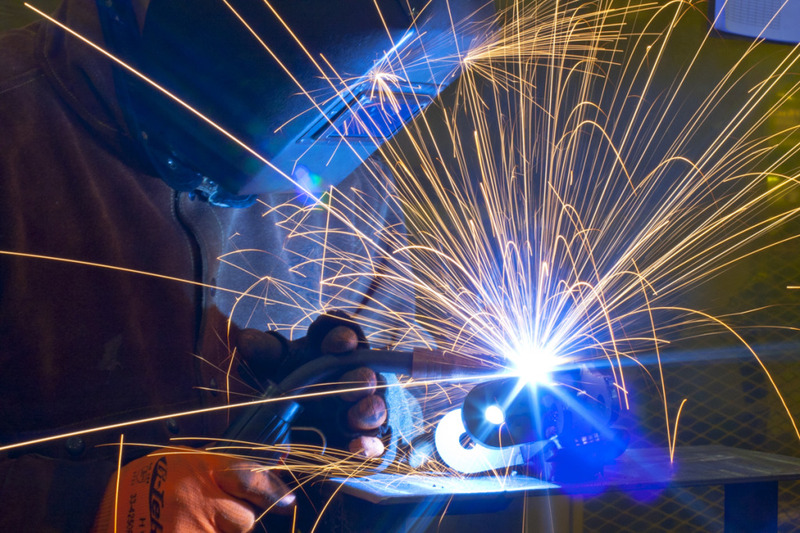 Over the years we were able to expand our expertise into custom metal fabrication utilizing the latest in laser cutting technology. Our current Lasernut facility is over 40,000 square feet and growing. We promise to provide your company with state of the art laser cutting services using the most up to date systems available today. Lasernut bought its first laser in 2007 and has been laser cutting nonstop ever since. We have added many new lasers each year to never fall behind the the laser cutting standards. If you have a dream we can make it come true! Our engineering team can help make your concept a reality. We will work with you to ensure that your product meets and exceeds your standards. Lasernut provides project consultations on parts and will work hand in hand with its customers to provide everything from prototypes and pre-production evaluations to revisions and final product development. From start to finish your project is of utmost importance to us. Lasernut has top designers to help you with any and all your products and design needs. Design and Engineering available utilizing the latest in 3D modeling Solid Works & AutoCAD Most forms of files accepted. 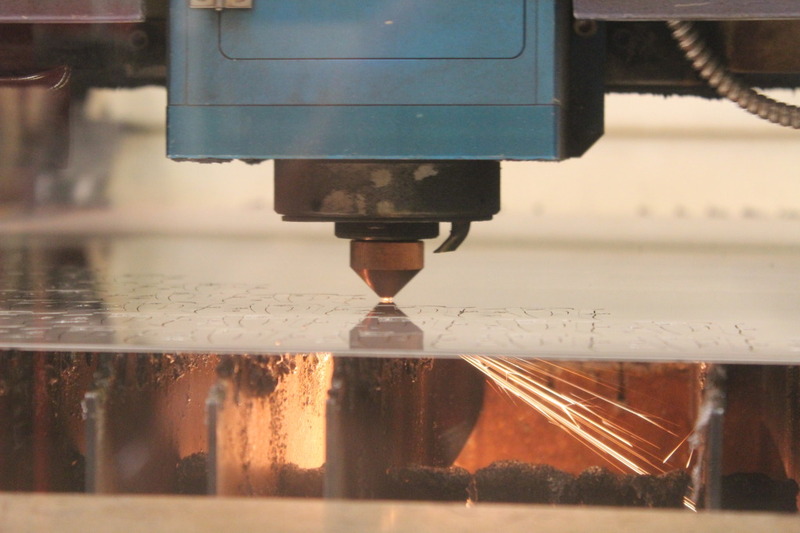 Our laser cutting machines have the capacity to cut mild steel up to ¾” inches thick. We work with a wide variety of metals, and keep an array of materials in stock at our Southern California facility at all times. Our company runs 24/7 to ensure that your orders are delivered ON TIME! 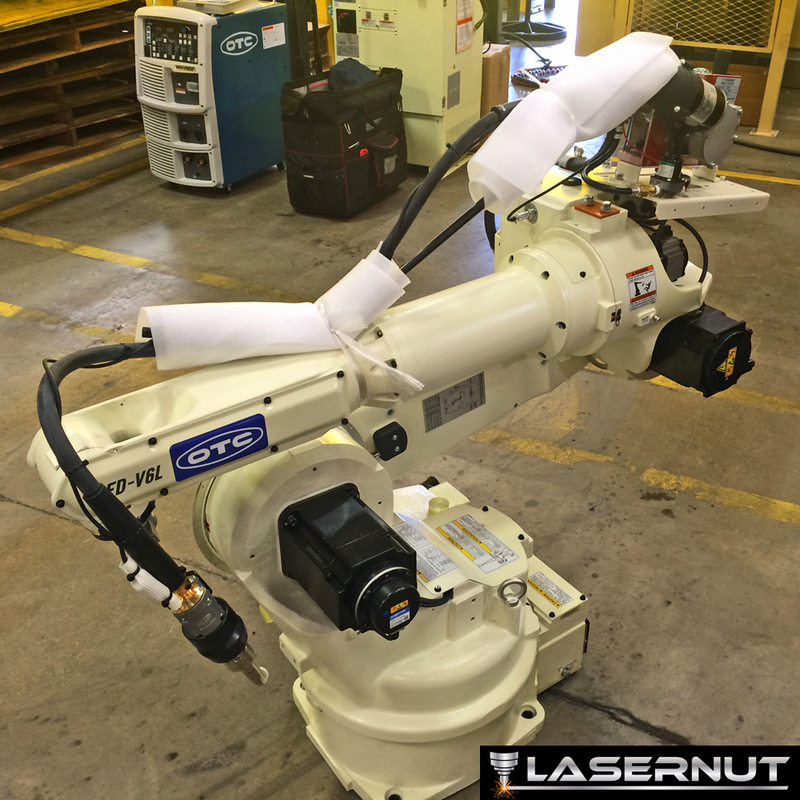 Lasernut has the knowledge, experience, and equipment to meet, or exceed your expectations. We strive to deliver the highest quality parts available in the manufacturing industry. 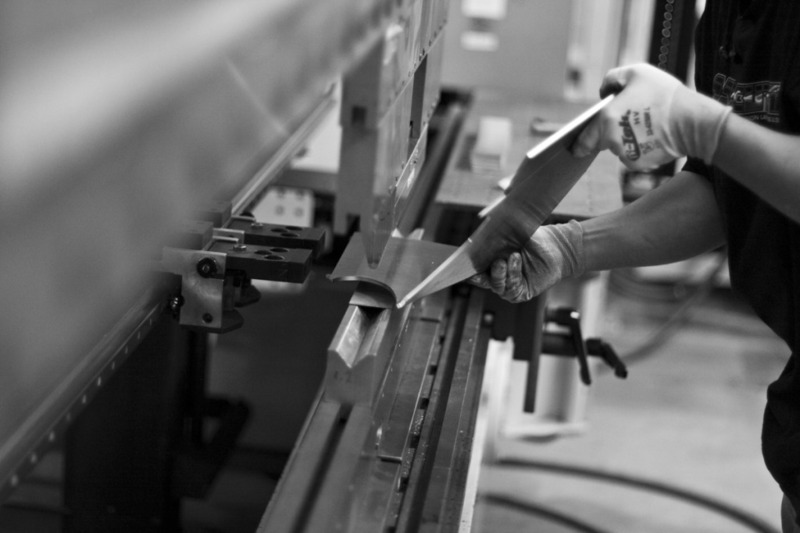 There are three basic types of bending on a press brake, each is defined by the relationship of the end tool position to the thickness of the material. These three are Air Bending, Bottoming and Coining. 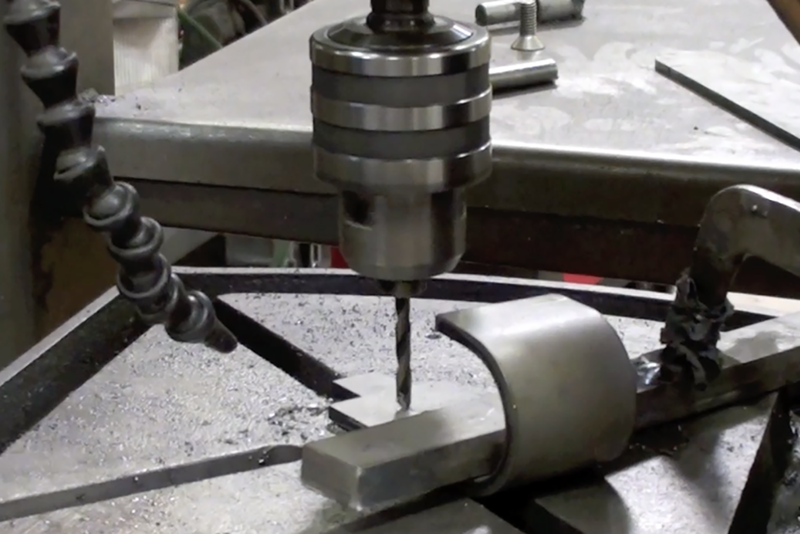 The configuration of the tools for these three types of bending are nearly identical. A die with a long rail form tool with a radiused tip that locates the inside profile of the bend is called a punch. Drilling is a cutting process that uses a drill bit to cut or enlarge a hole of circular cross-section in solid materials. The drill bit is a rotary cutting tool, often multipoint. The bit ispressed against the workpiece and rotated at rates from hundreds to thousands of revolutions per minute. 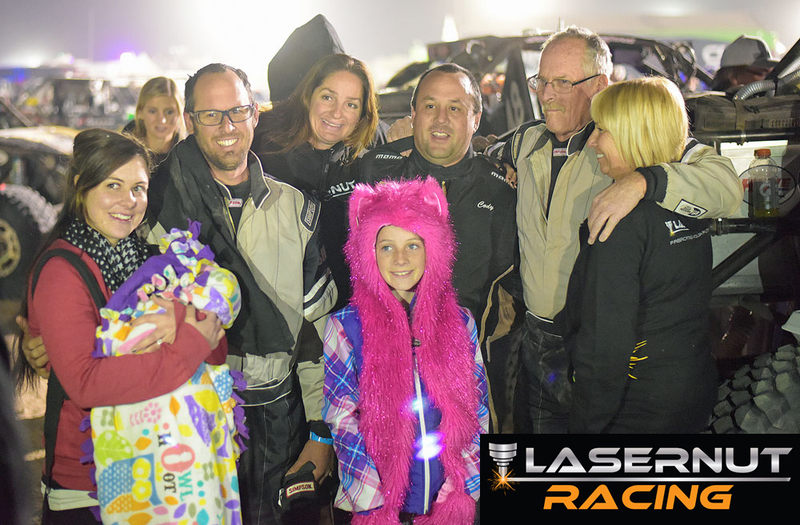 Lasernut Racing – 2015 King of The Hammers Race Recap!